Pedro (featured above) lost his right arm in a fireworks accident when he was nine years old. Overnight, things like eating, getting dressed, and writing became a struggle. 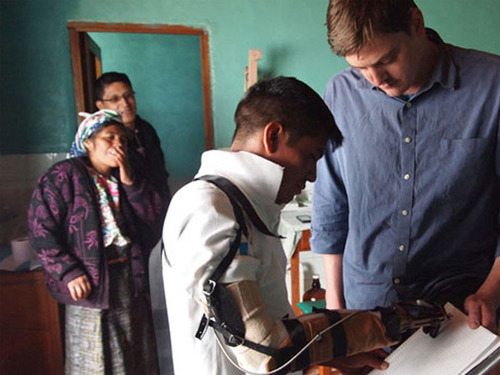 A month after Watsi donors funded Pedro’s prosthetic arm, we received the above photo from the medical partners in Guatemala that provided his care, Wuqu’ Kawoq and Bump, showing Pedro’s mom admiring his new-found writing ability. This update had our entire team crowded around a monitor smiling in awe of the Watsi community. Thank you for helping to rewrite the future for patients like Pedro.